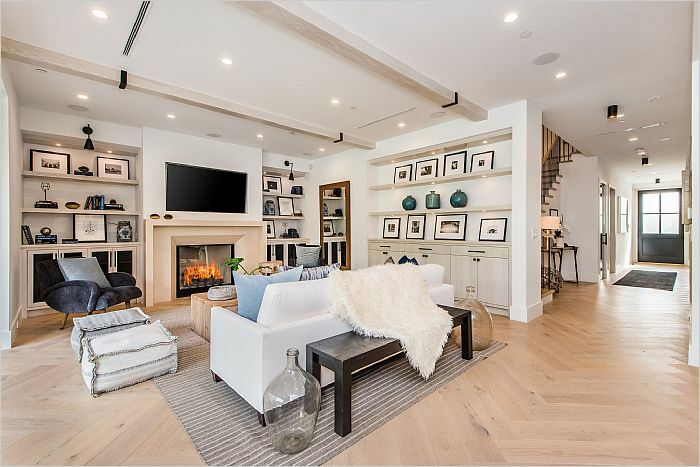 This divinely designed Modern Farmhouse seamlessly emulates the desired aesthetics and luxury of Hampton style living. 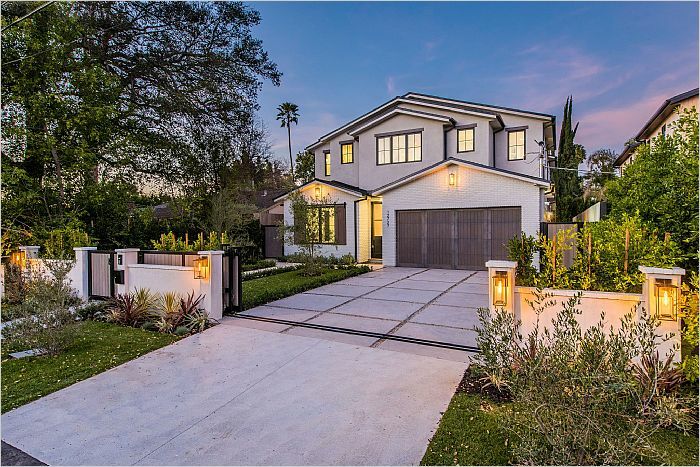 This home provides 5 spacious bedrooms, 6 exquisitely designed bathrooms, and an open floor plan that provides functional beauty throughout the whole home where attention to detail can be seen from every angle. 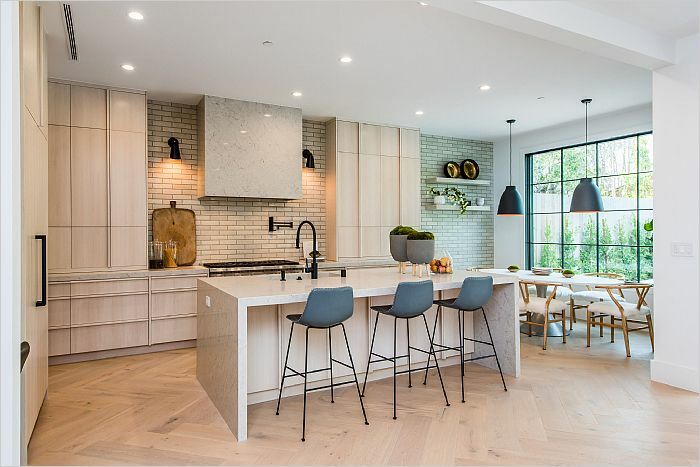 Stunning custom chef's kitchen shows off high end appliances, 6 range stove, and stone countertops for beauty and easy maintenance at the same time. 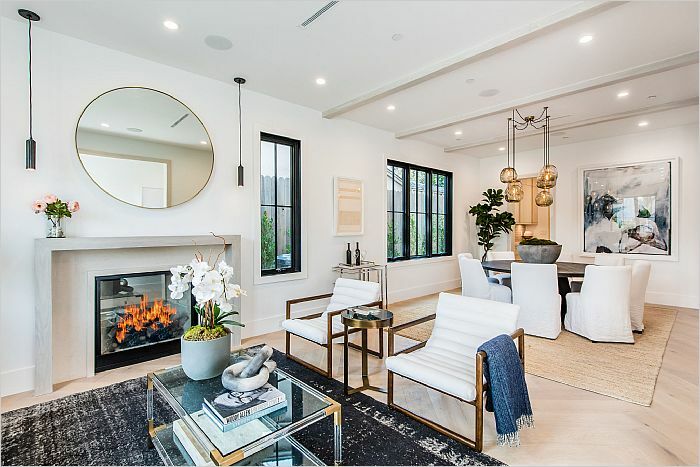 Gorgeous living room with custom built-ins transforms into an ideal indoor/outdoor living environment with large floor to ceiling collapsible doors opening to a private, lushly landscaped backyard with a beautiful heated pool and spa with water features. Just upstairs from this already perfect seeming home, are 4 bedrooms all with their own bathrooms, luxury finishes and designer light fixtures. 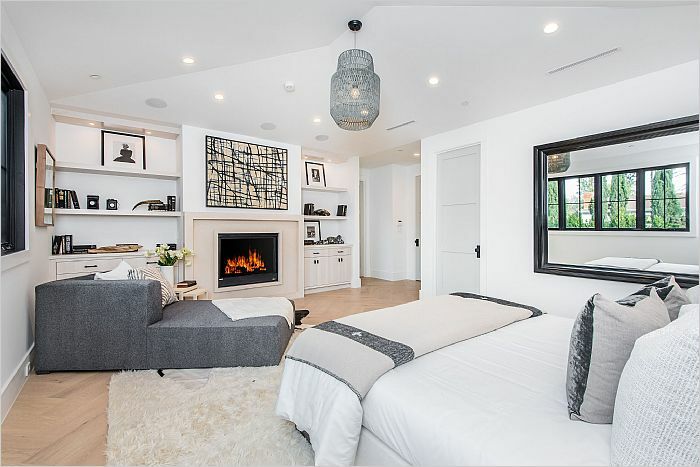 Master retreat is a dream of its own with a gorgeous en-suite containing a huge shower, soaking tub, dual vanities, and walk in his & her closets to make anyone's designer dreams come true. 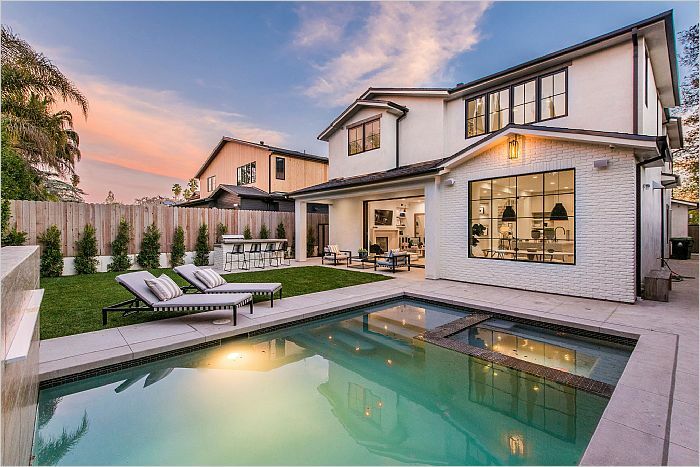 Endless amenities, large direct entry garage, wine room, and safety provided by this homes fully wired control4 security system and large front gate complete this stunning estate.